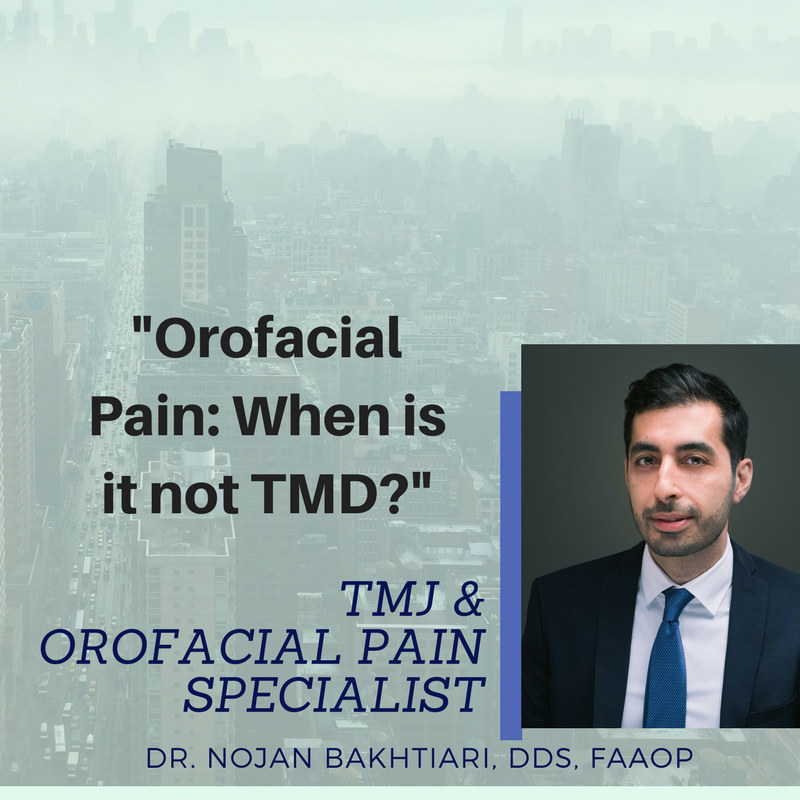 Dr. Bakhtiari is presenting "Orofacial Pain: When is it not TMD?" at the Spear Study Club to dentists, orthodontists and oral surgeons in Stamford, CT (organized by Dr. Edibam ). I’m lecturing in a few weeks at the Greater New York Dental Meeting. My talk will cover facial pain conditions that mimic TMD, and how to avoid misdiagnoses. Earn 3 CE credits for attending the morning session. Dr. Bakhtiari will present "Demystifying TMJ and Facial Pain" at the Sheepshead Dental Study Club in Brooklyn, NY. The study club meets at the Wheeler’s Restaurant (1705 Sheepshead Bay Road, Brooklyn). The lecture begins at 7pm.